Santa’s so happy Christmas is coming that he’s dancing. Pipe cleaners give our Santa moves to envy. Finish only one side of Santa and hang on the wall or bulletin board, or finish both sides and add a string for hanging. Younger kids can probably do this, but proper cutting is important. 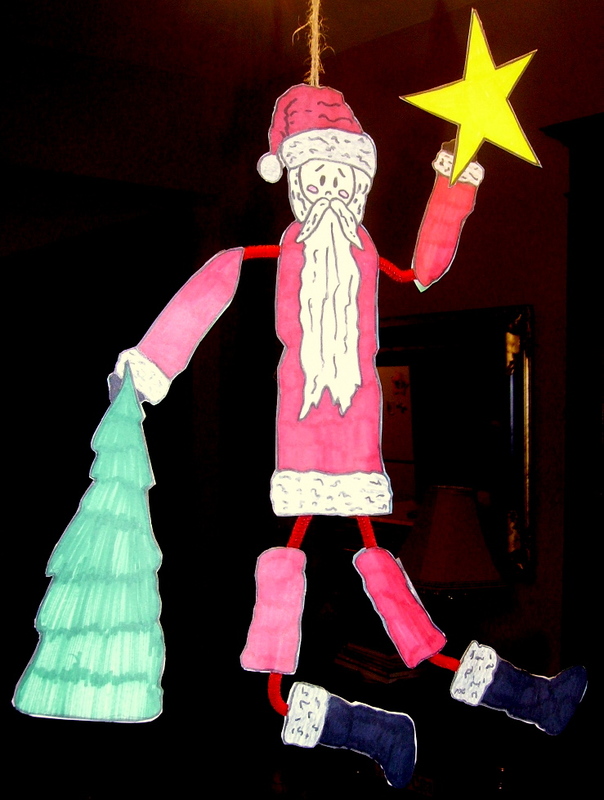 The directions for this project, “Dancing Santa,” can be found in the 5th Grade Projects Gallery in the sidebar. This entry was posted in 5th Grade, Christmas Projects and tagged 5th Grade, christmas crafts for kids, dancing santa, dancing santa craft, dancing santa craft project for kids, easy hanging crafts for the classroom, hanging santa craft, santa crafts, santa crafts for kids, santa crafts to hang in the classroom, santa moves. Bookmark the permalink.